Join other Lady Leaders and dedicated Mompreneurs in this Transformative Fitness Program and Women’s Group. Get the plan and support you need to lose weight during the holidays(without giving up foods you love) and look head turning good on New Years Eve. When it’s best to indulge (and when it’s not). When you don’t know when it’s best, it could lead to more cravings, hunger, and overeating. … You can balance your health goals and enjoy the festivities. … You can take charge of your environment without being a perfectionist. … You can indulge without the BIG helping of guilt. … You can trust yourself not to overeat instead of mind F’ing yourself. … You can feel fit and fierce in a little black dress rather than staying in, covering up or hiding. But, all too often, motivated women (like you) don’t make the smart choices (or don’t know which plan to follow). Or they say, “I’m going to stay 100% perfect no matter what” and end up blowing their diet anyway. I Get It…You’re ready to end the unhealthy and unhappy extremes. You’re tired of fighting to “survive” holiday parties. AND you’d just like to enjoy the holidays without putting on extra pounds. The Little Black Dress is Back! And New & Improved. Clear and simple “How to” videos for fighting the 4 primary holiday. As the Founder of Lady Leader Lifestyle, an 8 year Fitness Professional, Sponsored Athlete I’ve help transform women through coaching and my empowering online education program. The Little Black Dress Project, Resolution Rescue and No Cover Up summer help by improving confidence, establishing lifestyle routines and giving them the actionable tools to build the mind, body and life of their dreams. 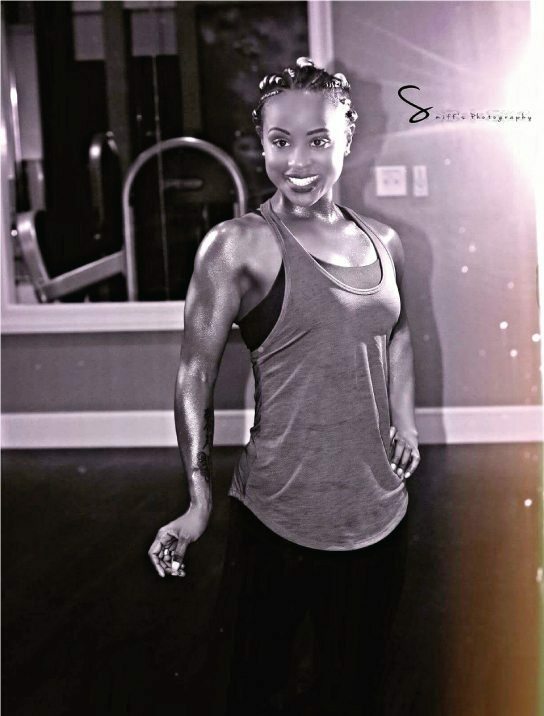 Coach Denea James is the Founder of DJ Fitness, an ISSA Certified Fitness Trainer, Nutrition Specialist and ACE Group Fitness Instructor who’s been helping women for 4 years. She quickly realized this was more than workout and scheduled eating, it was about a holistic lifestyle. Her passion lies in helping women find the best in themselves by integrating faith and fitness. Coach Sarah Hunt is an NASM Certified Personal Trainer, Integrative Nutrition Holistic Health & Nutrition Coach and doTerra Wellness Consultant. She holds Master’s Degree in Education Administration from Xavier University and loves how her passion for teaching fits right into the fitness industry. Now with 7 years of experience her passion still lies in helping women exceed their personal goals and learn a balanced life they love. If dedicated women use The Little Black Dress Project Fitness Program & Women’s Group Program, they will overcome stress, broken routines, and social pressures during the holiday season to lose weight and rock a little black dress on NYE. Rock Your Dress with a Look and Feeling of Confidence. Let’s do it right. Together.